I’ve been telling myself I need to get comfortable with sharing more about my personal life on social media. Blogging about it is like dipping my foot in the pool without diving in head first. I can talk about real estate all day long but, opening up about my personal life is something I’ve found more difficult. I thought I’d write about my childhood because I think it plays a big role in who I am today. I grew up in Lucketts, a small town outside of Leesburg. It’s still a small town but, in those days it was super small. We didn’t have neighbors with the exception of a house we share a quarter mile driveway with but, everyone knew each other and we were known as the country kids. From what I hear it’s sought after now but when I was growing up that wasn’t the case. The “city” kids always thought we lived so far away and until we could drive the Lucketts kids stuck to hanging out with each other. My parents had a small farm with 10 acres and I quickly adopted my Mom’s love for horses. Riding was my passion, I tried playing a couple sports in Elementary School but, quickly knew that I wanted to pursue riding. 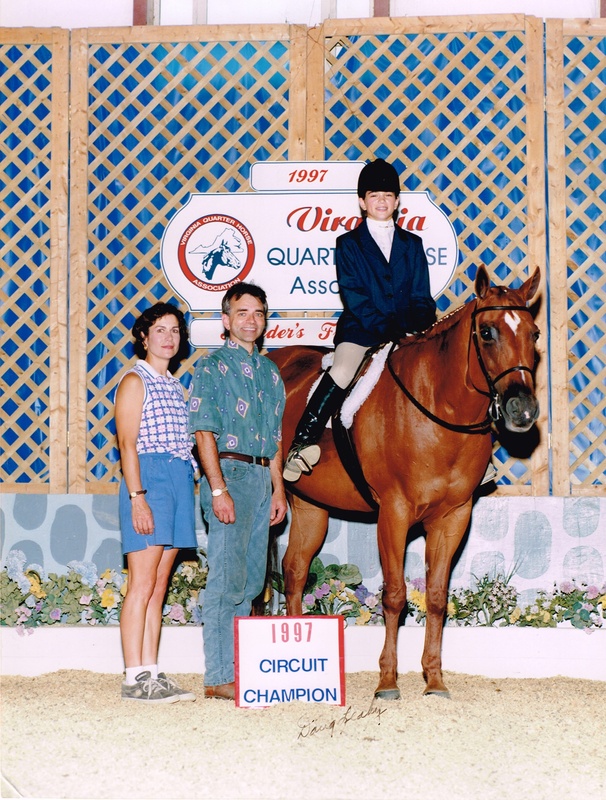 My parents supported that and my Mom spent hours and hours teaching me how to properly care for the horses we had. Riding was the reward but, there was a lot of responsibility that went with it. I knew that if I didn’t put the work in I wouldn’t be allowed to ride. Good grades came first and I made sure to always make sure my report cards were solid. Next was caring for the animals, horses are a lot of work! I would get up early and help her with the barn before I went to school and always come straight home to ride my horse and do some more work in the barn. Being on a small farm there was always grass to mow, a garden to tend too, a pool to clean, 10 acres takes constant care. I can remember I dreaded picking blueberries but, it was a requirement! 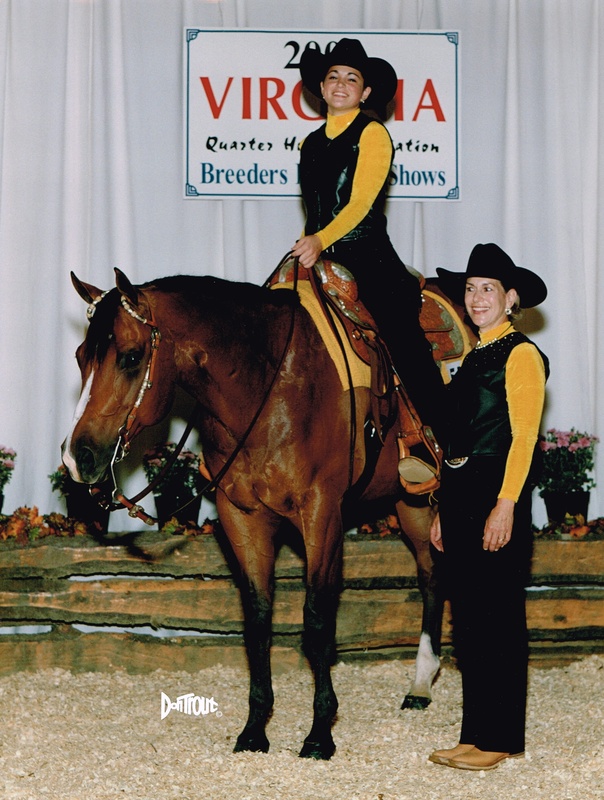 My Mom and I started showing together and I was allowed to miss school so that we could travel to shows – again as long as my grades were good. Having the privilege to ride and show horses is something that has stuck with me. It was a ton of work, and it wasn't just working on my part. It was my parents too – my Dad would hold down the fort when we would go on the road to show. He’d not only run his business but, still, take care of the animals at home while we were gone. 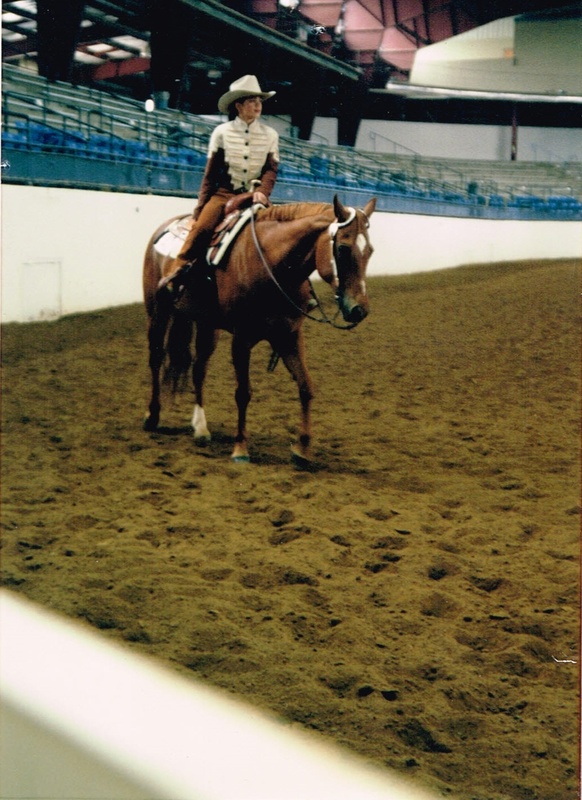 My Mom was constantly teaching me how to care for the horses and giving me lessons to improve my riding skills. Not to mention the financial aspect that they both juggled, to this day I’m not sure how they made it all work but, they did. 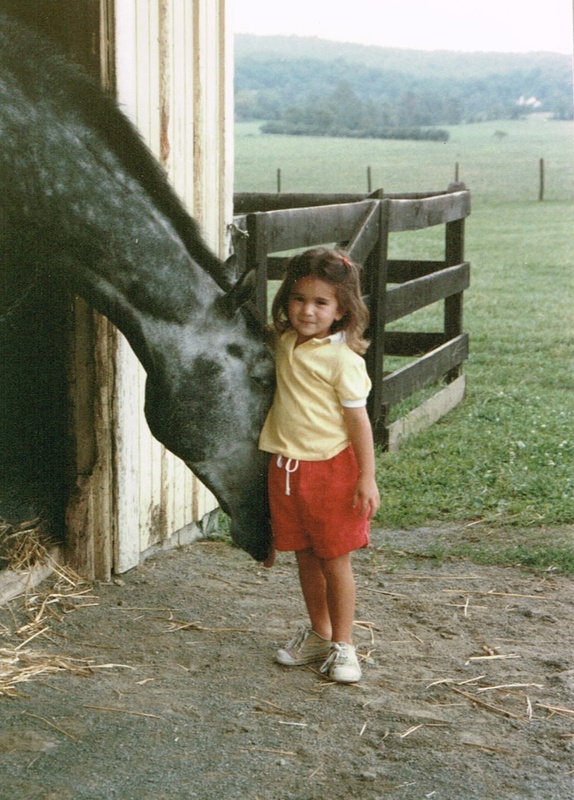 Some of my fondest memories are growing up with horses. It kept me close to my family and out of other trouble. It wasn’t until I went off to college that I couldn’t ride consistently anymore. I had a full-time schedule with classes and also worked full time leaving no time to ride. I hope to one day be able to afford to have horses of my own. I may live in the city now but, I am and always will be a country girl. My parents taught me that with hard work anything is possible and I’m very proud of where I grew up and how they raised me.